This time the movements of galactic fabric were picked up by LIGO’s twin detectors - one in Livingston, Louisiana, and another in Hanford, Washington – on December 26, 2015. "It is important that the second signal was generated by the black holes with relatively small mass and it better corresponds to predictions made by astrophysicists. Now we can be more confident that the first event was not a rare exception,” said MSU physics department professor Farid Khalili. The first detection of the waves, the possible existence of which has been one of the biggest mysteries of the past 100 years, happened on September 14, 2015 and was announced in February. The breakthrough discovery that opened a new door to the universe has been named the biggest in physics in a century. Unlike the first time, when the signal was clearly distinguishable, this time it was weaker, say scientists from Moscow State University. However, by using special techniques scientists were able to separate the signal, which was mixed with other galactic noises, and to make it distinct. It was concluded that the waves detected for the second time were produced in the last fraction of a second when two black holes with masses 14 and 8 times bigger that the Sun’s merged into one massive swirling space-time body. 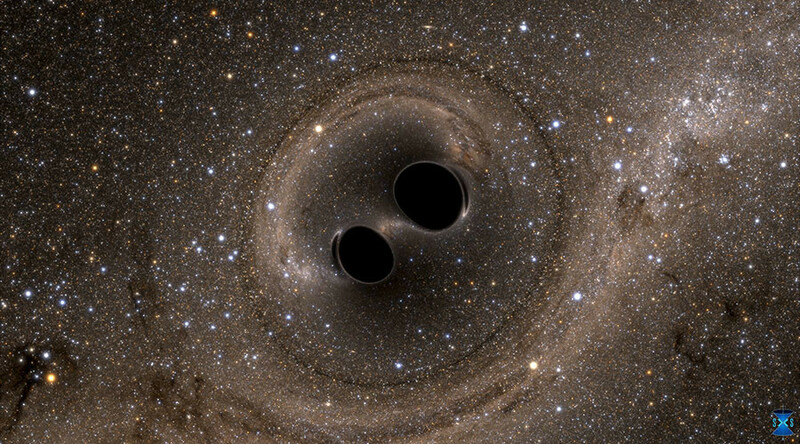 “By being exotic, gravitational waves - these flying pieces of space-time curvature – have become a source of new information about the universe and opened the era of gravitational astronomy," said Sergey Vyatchanin, professor of the MSU’s physics department. Since the 1970 scientists had good circumstantial evidence of the existence of such waves, which were first described by Albert Einstein in 1916 in his General Theory of Relativity. Looking at the universe as a huge trampoline – Einstein thought of it as space-time fabric – gravitational waves are like ripples in that fabric. The collision of two black holes or merging of two pulsars are among the presumable causes of such waves' formation. We are 99% certain that mass of the smaller object is more than 4.5 solar masses, which means #GW151226 is a #blackhole merger! Although Einstein predicted that gravity travels in waves a century ago, detecting gravitational waves was not an easy task due to the fact that their effect is miniscule and easily confused with random noise.